This website is dedicated to the concept of illuminating illogical and ill-advised thinking, and by so doing we hope that the thinking will be revised and reformed to more constructive and useful thought patterns. The origin of the name may be a little puzzling. Here in Titian’s famous painting from around 1550, Eve is depicted plucking a fruit from the Tree of Knowledge of Good and Evil. Of course, this precipitated Man’s fall. 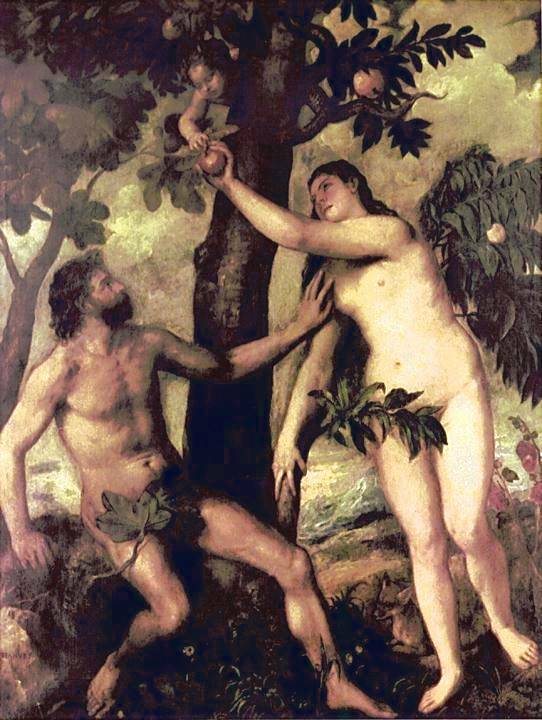 The story of Adam and Eve is one of the most famous in the Bible. It can be found in Genesis. Eve succumbed to the temptation of the serpent’s words and tried the fruit. Of course, she found it delicious. The rest is left for the reader, but the bottom line is that God cast Adam and Eve out of paradise over knowing good and evil, by eating the fruit of the tree of knowledge. Having this Christian tale from the Bible in mind, US Supreme Court Justices did refer to the acts of a policeman who got information in contravention to the Constitution in the same way, as fruit of the poisonous tree. This concept of poisoned fruit evolved into the Exclusionary Rule, which prevents evidence from being introduced at trial when the evidence was obtained illegally. An illegal act to get evidence makes the evidence fruit of the poisonous tree, and thus to be shunned and ignored, and never to be considered by a jury. Hence, this long-standing Exclusionary Rule is the impetus behind our website. We welcome your support, financial and moral.